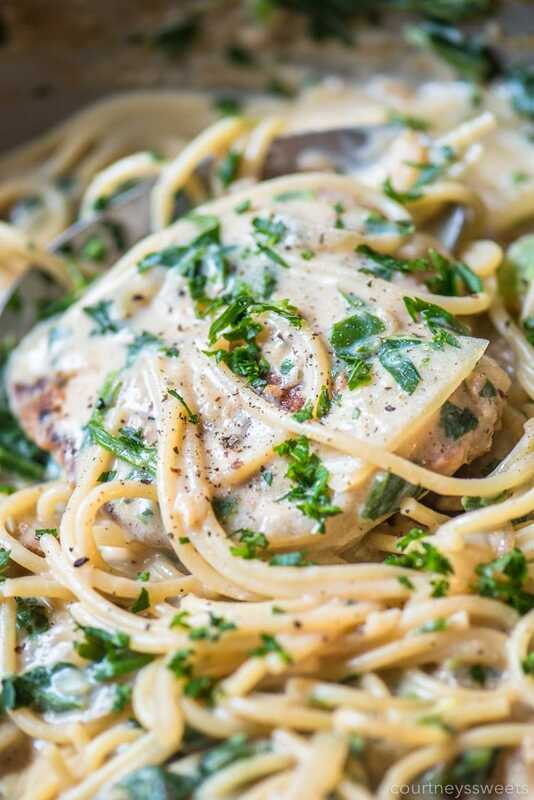 Smothered Pork Chops Recipe with Spinach Spaghetti makes for a complete meal! 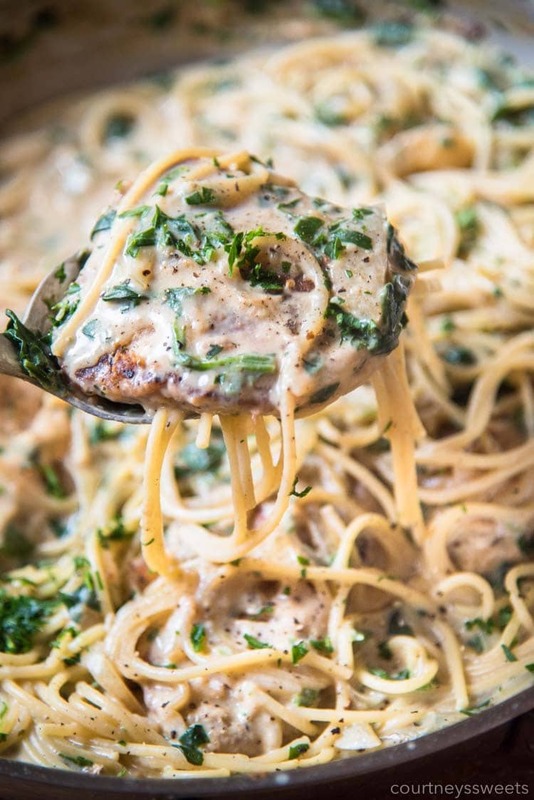 Pan fried pork chops, onions, garlic, spinach, and spaghetti with a creamy sauce, what’s not to love? I grew up eating pork chops all the time, but they were the same way every single time. My mom wasn’t a fan of being in the kitchen, she could cook, but didn’t want to cook, ha! Pork chops were either broiled or grilled, always the same seasoned pork chops. 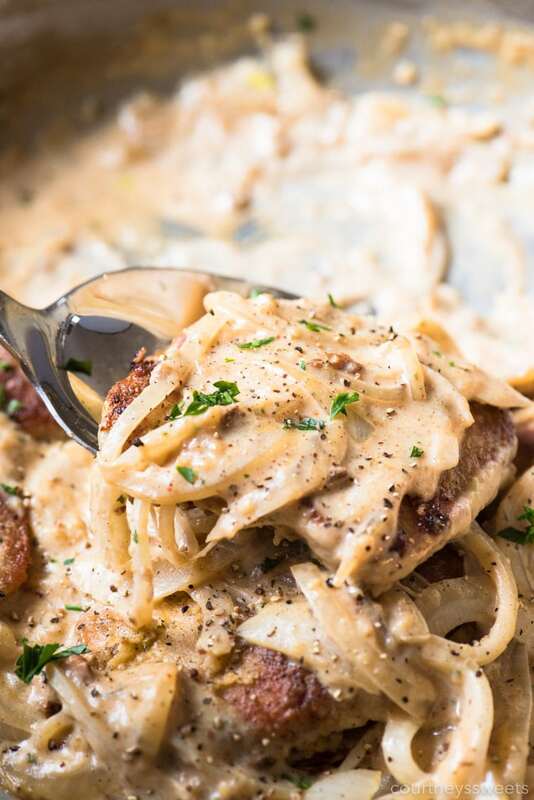 I never made or heard of a smothered pork chops recipe, our pork chops were always pretty dry, ha! 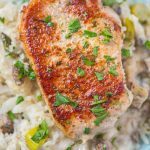 She would use seasoned salt and garlic salt, it was delicious and sometimes I do make it, but there are so many more ways to enjoy pork chops, I love all sorts of pork chop recipes and we’re excited to share our easy smothered pork chops recipe! I start off by fileting the pork chops so that a thick pork chop is now 2 thin pork chops. 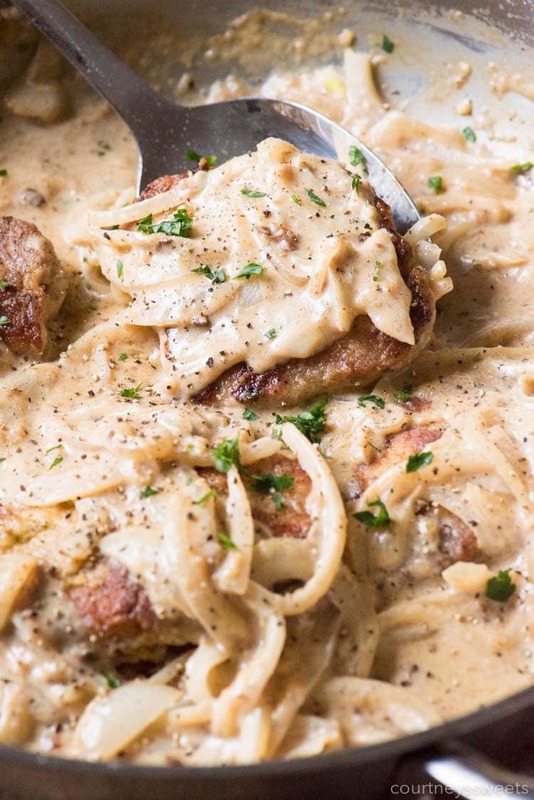 I go for boneless pork chops since it’s easier for everyone to just slice or bite right into. You can purchase them already thinly sliced as well. 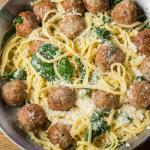 I like to smother ours with a creamy sauce with onions and spinach, you can also add in some spaghetti! I coat them in a seasoned flour mixture and then pan fry them on both sides until both golden brown, crispy, and of course, fully cooked. The pork chop internal temperature should be at least 145 degrees Fahrenheit when fully cooked. Once the pork chops are done you’ll deglaze the pan and add the remaining ingredients aside from the pasta and spinach. 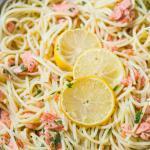 You could make this without the spaghetti and serve over rice if you’d like. 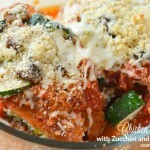 Once the sauce is nice and creamy, not too loose, you can add the pasta and spinach. 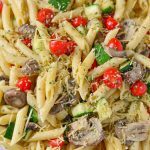 My husband is picky about mushrooms, but mushrooms would be phenomenal in this recipe, it would add more texture and a delicious mushroom flavor! 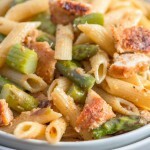 Add in broccoli, peas, artichokes, whatever you’d like, there’s no wrong way to enjoy smothered pork chops, smother ’em! 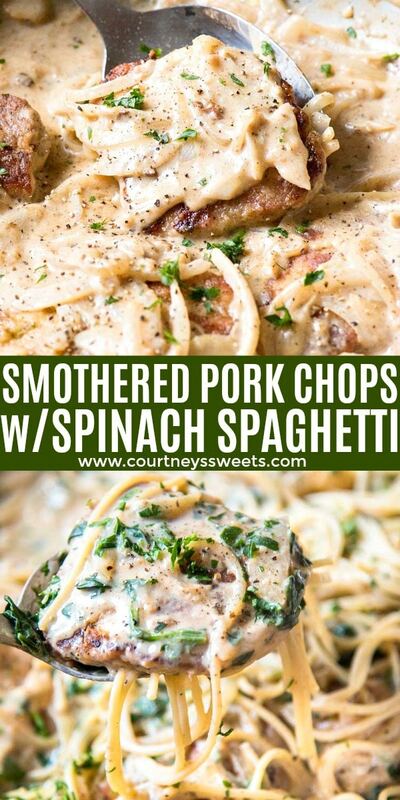 You can also make this smothered pork chop dish without the pasta or even just make the spinach spaghetti on its own. Sometimes I’ll keep them both separate, they are equally delicious on their own or together. 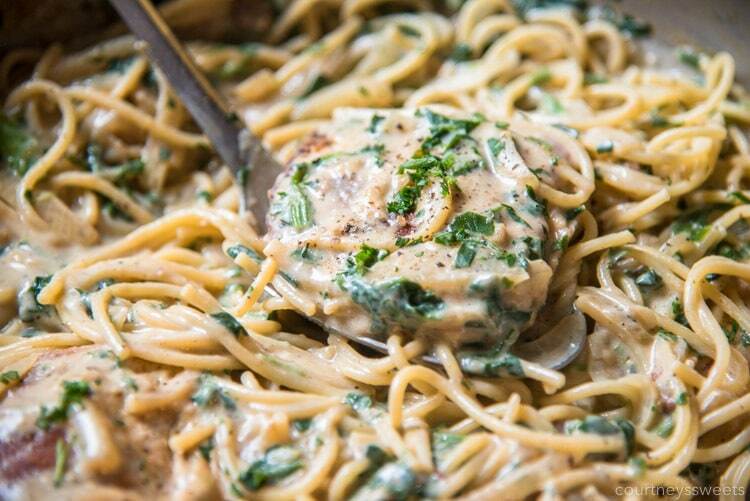 Smothered Pork Chops with Spinach Spaghetti makes for a complete meal! 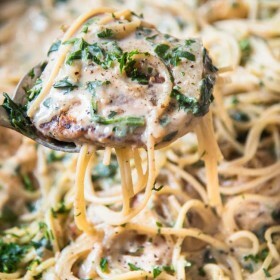 Pan fried pork chops, onions, garlic, spinach, and spaghetti with a creamy sauce, what's not to love? Mix together the flour, garlic, paprika, salt, pepper, and parsley. Thinly slice the pork chops so you have a total of 4 pork chops, or instead of using 2 pork chops you can buy 4 thin sliced pork chops. Coat the pork chops in the flour mixture. Heat oil in a frying pan and once hot add in the pork chops. Cook pork chops on both sides until browned, about 6-8 minutes depending on the thickness. Cook the spaghetti and remove. Then cook the spinach in the pasta water, cook pasta until slightly al-dente. Mix the butter and flour into the pan to create a roux. 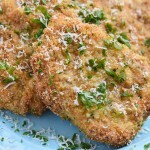 Slowly whisk in the remaining chicken broth, milk, parmesan cheese, and then add the pork chops back into the pan. 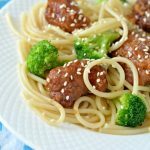 When the pork chops are fully cooked add the spaghetti into the pan with the pork chops and toss in the sauce, add in some pasta water if needed. This looks delicious! Reminds me of something my mom made growing up! Pure comfort food!